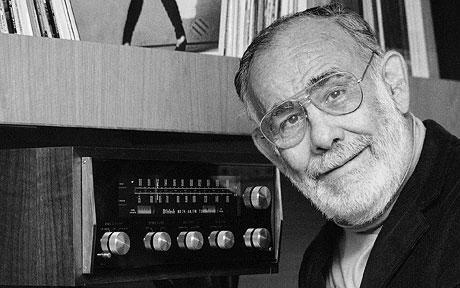 Jerry Wexler is another of those names we saw on record labels and album covers. Not the musician; not the writer; but a common presence. Jerry was born in the Bronx on January 10, 1917. He briefly attended the City College of New York, then enrolled at Kansas State University before again dropping out of college. He joined the army and following his military service, he finished his degree in Journalism at Kansas State. Wexler joined Atlantic Records as a partner in 1953 and quickly became Ahmet Ertegun’s close friend. With Ertegun, he helped forge Atlantic’s success, producing artists like Ruth Brown, Ray Charles, and The Drifters. For the first time in American music history, the average white kid could easily hear music previously isolated to the fringe or covered by an average white band. Jerry Wexler also produced LaVern Baker, Big Joe Turner, Solomon Burke, Dr. John, Wilson Pickett, and Aretha Franklin. He helped Aretha Franklin adjust her unsuccessful sound at Columbia Records and sent her to Barry Beckett, Roger Hawkins, Jimmy Johnson, and David Hood’s Muscle Shoals Sound Studio in Alabama. The collaboration brought fame and financial success to both. Wexler left Atlantic Records in 1975 to work for Warner Bros. Records. He signed Dire Straits, Etta James, and the B-52s among others before leaving to work on a freelance basis. It was as a freelance producer that Wexler recorded Bob Dylan’s Slow Train Coming album at Muscle Shoals. The single, “Gotta Serve Somebody” from that album won a Grammy award in 1980. 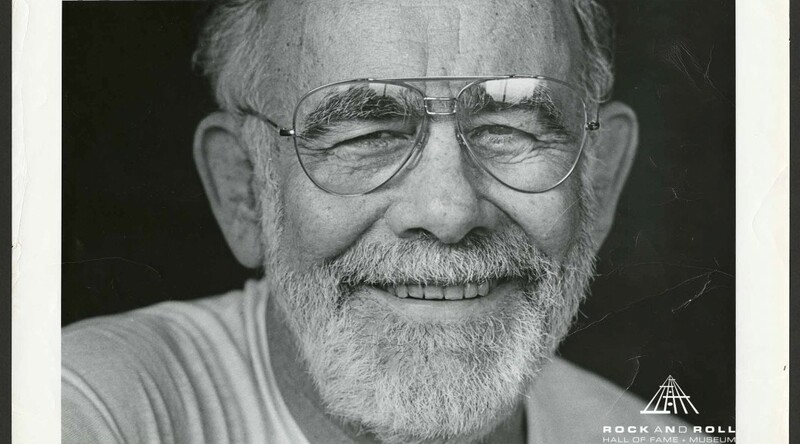 Jerry Wexler died at his home in Sarasota, Florida, on August 15, 2008. 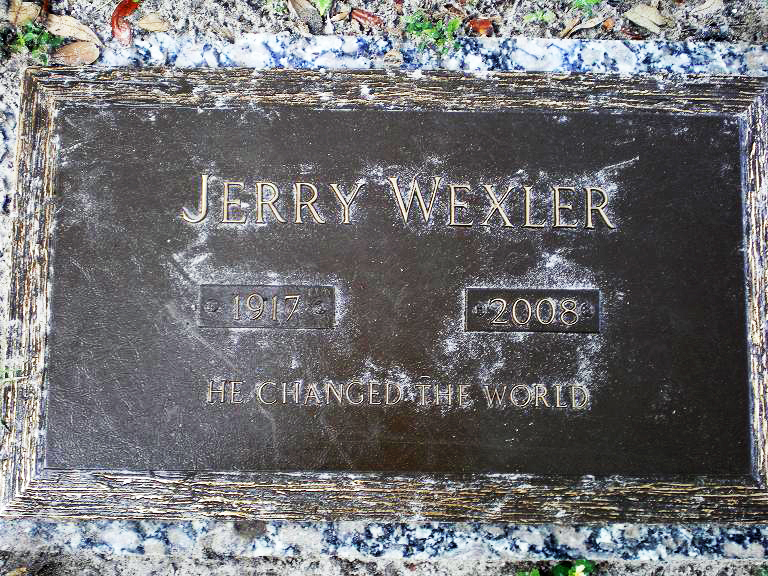 His tombstone has his name, the years of his birth and death, and the words: HE CHANGED THE WORLD. Below is a 2002 Interview by John Sutton-Smith with Wexler.